A bill designed to protect families’ primary residences and premises of small businesses with a turnover up to 2 million Euros and employing up to 10 staff from seizure should be ready by end of this month. THE House Legal committee is determined to press ahead with finalising a bill to protect families’ primary residence “through fire and water”, its head Sotiris Sampson said, placing the bill’s estimated date of submission to a plenary vote around the end of March. The committee, convened on Wednesday to discuss the bill, was addressed by Finance minister Harris Georgiades through a letter. In it, he informed the committee that the government agreed with the view of the banks’ association and the Central Bank of Cyprus (CBC) that feel that the issue should be viewed as part of a wider bill concerning non-viable borrowers. The government is preparing the non-viability bill as part of the Troika-imposed adjustment programme. The committee was told it should expect the submission of the government bill by year’s end. Nonetheless, most committee members expressed their determination to move the bill to an earlier vote. Speaking after the committee session, Sampson conceded that the legal issues raised were extremely serious, but said that discussion will continue on Friday morning, aiming for a month-end submission to the plenum. The bill under discussion aims to ensure that no family is left homeless due to difficulty in repaying loans as a result of the financial crisis. On the other hand, banks are determined to proceed with the recovery of assets in an effort to reduce their high level of non-performing loans, one of the conditions imposed by the Troika as part of the Cyprus bailout programme. According to statistics released on Wednesday by the CBC, Cyprus continues to top the Eurozone list of high interest rates on housing loans with 4.65 per cent, despite this being the lowest the country has seen since June 2010. The average interest rate offered in the Eurozone on housing loans is 2.8 per cent. According to committee member and AKEL MP Yiannos Lamaris, after all other means of repayment have been examined and exhausted, the bill will serve as a last resort to borrowers, allowing them to request a court-mandated repayment freeze for a limited period of time. Even the Troika, Lamaris said, supports the concept of protecting the family residence. Meanwhile, several committee members reiterated Sampson’s claim that government services have attempted to further delay the bill, including Lamaris, EDEK MP Nikos Nikolaides, and the Greens’ Yiorgos Perdikis. 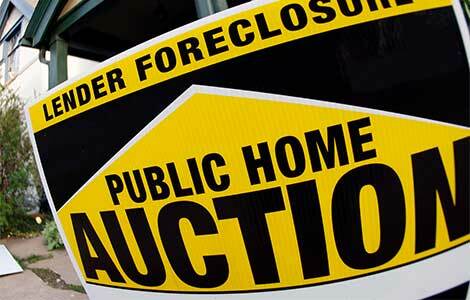 “The risk of foreclosure is no longer merely abstract”, Nikolaides said. “Protection of the primary residence and small-to-medium businesses is the least the state can offer its citizens,” he concluded. The precise definition of the term “primary residence” is a key factor in what is coming. The tax man’s definition is not necessarily the residence where you and your family spend most of your time. I don’t know if it is possible for a man and wife to claim different primary residences; it would defeat the object – for example the payment of capital gains on a property sale. Normally, if you have two residences, you just have to nominate your primary one, as the UK members of parliament did when they were fiddling their expenses and allowances. Consequently, I expect to see a different determination of primary residence, so anyone not spending over 50% of their time in their Cyprus residence will de facto be fair game for seizure of asset. If this all comes to pass it will be interesting to see how many of the currently vociferous victims suddenly go quiet because they don’t have problem any more. Does this “pressing ahead with legislation” mean anything like pressing ahead 5 years ago to sort out the developers, the title deeds or the corruption and underhand dealings. What is needed is a Mrs Thatcher, she would have had the privatisation, the title deeds and the wrong doers brought into line and everybody paying their way and Cyprus could be a pleasant place to live. Something else too late no doubt. @Costas Apacket – You can only have one primary residence, which is the dwelling in which you usually live. A secondary residence is one where you spend your weekends and/or holidays – and you can have any number of them. E.g. My primary residence is in Cyprus and I have a secondary residence in the UK where I spend some of my holidays. “The bill under discussion aims to ensure that no family is left homeless due to difficulty in repaying loans as a result of the financial crisis”. That is a noble gesture but what does Mr. Sampson propose for those who have been duped into buying a property which has a delinquent developer mortgage. Many of these buyers have already paid in full for their homes. Does Mr.Sampson consider these homes to be fair game. If this Law is going to be enacted it needs to be applied fairly to ensure that it does not just protect the usual suspects whilst allowing further persecution those who have already been royally shafted. To achieve this, the wording of the law needs to remove the emphasis on ‘families’ by stipulating that it covers the first Cypriot property owned by anyone. Otherwise a situation will quickly develop where ‘families’ with NPLs are protected, at the same time as many ‘others’ who have either paid for their properties in full or are up to date with their loan repayments, but whose properties have NPL encumbrances secured against them, will have their properties stolen from them and be turfed out onto the streets. I wonder what this little gem of proposed legislation will open the door for!